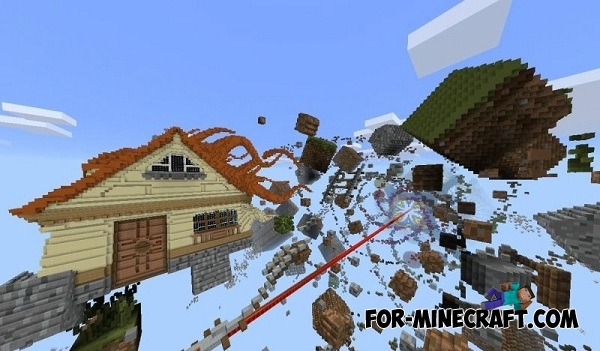 Do you like the big unusual and colorful maps? 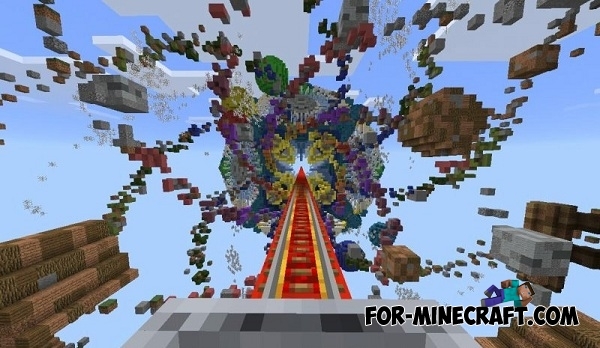 Then Win10Coaster map will not leave you indifferent! Quite ambitious idea was realized by BlockWorks team. And we must pay tribute, it happened really great and detailed. Map is presented as an "roller coaster" attraction, which greatly simplifies the research and will give you an extraordinary travel experience. I got the impression that I was a little grain of sand in the big kaleidoscope. The patterns were unusually vivid and bright, they changed one by one. It may be mentioned unusually large buildings that surrounded me during the whole trip. 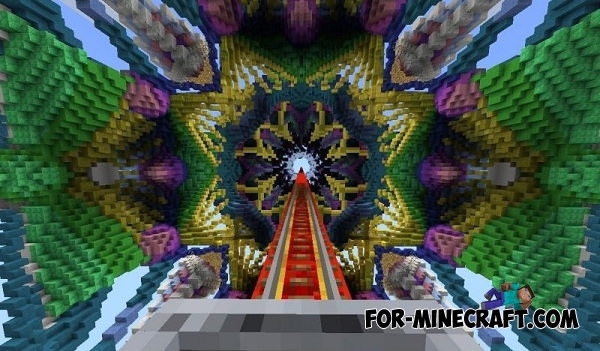 If you can't wait to explore this map quickly download it, take the minecart, and dive into the world of pixel beauty! 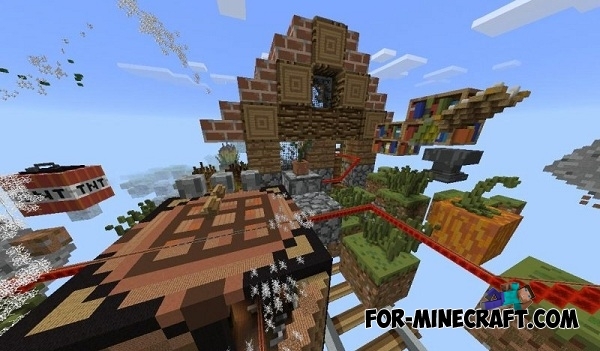 Immerse yourself in the incredible world of madness, a ride on the minecart at strange flying locations. 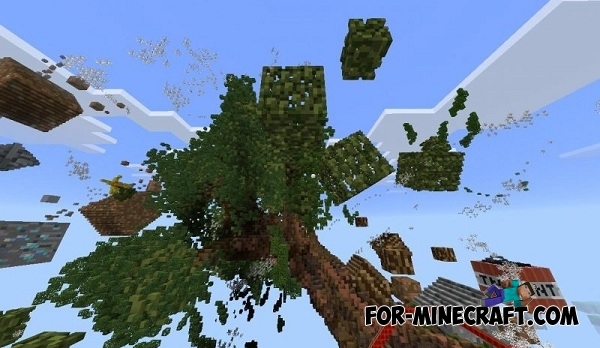 This map was created to celebrate the 1st year since inception of Minecraft Windows 10 Edition. You will see the incredible buildings and at the same time you do not have to do anything. 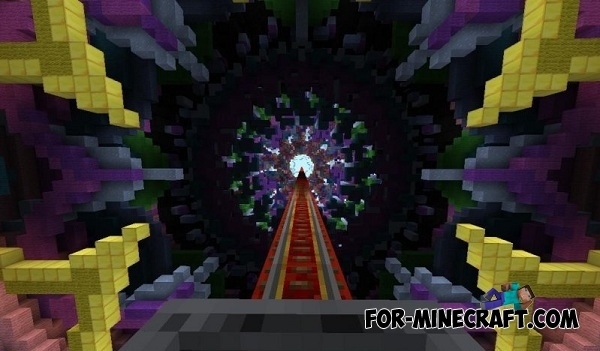 Win10Coaster is one of the most unusual and impressive maps for MCPE.